January 18 (Proactive Investors) The AIM quoted exploration group intends to drill two wells in Mongolia during 2017, and it is pursuing a fresh farm-out to bring in a new partner. Petro Matad Limited (LON:MATD) shares rose in Wednesday's early deals as it revealed that an awaited payment from Royal Dutch Shell is now expected in a matter of days. The AIM quoted explorer is due cash following Shell's decision to back out of a partnership entered into by BG Group before it was scooped up by the Anglo-Dutch. Today Petro Matad told investors that the 'protocols of reassignment' document had now been signed by all parties. "Payment by Shell is therefore expected to be received within the next ten days," it said in a statement. Petro Matad will retain 100% of the exploration blocks following Shell's decision to withdraw (78% stakes were previously entered into by BG Group) as it rationalised its portfolio of assets after the merger. 1. The designation and securities to which this report relates and the name and address of the head office of the issuer of the securities. Common shares of the capital of SouthGobi Resources Ltd. ("SouthGobi"), whose head office is located at 1100 - 355 Burrard Street, Vancouver, British Columbia, Canada, V6C 2G8. 2. The name of the market in which the transaction or other occurrence that triggered the requirement to file this report took place. 3. The name and address of the acquiror. 4. The date of the transaction or other occurrence that triggered the requirement to file this report. China Investment Corporation previously filed early warning reports in respect to a US$500 million convertible debenture (the "Debenture") LB purchased from SouthGobi and in respect to the exercise on March 29, 2010 of SouthGobi's right to call for the conversion of up to US$250 million of the Debenture, in respect to the receiving of paid in kind interest on November 21, 2013, and in respect of the receiving of paid in kind interest on November 21, 2014, and in respect of the receiving of paid in kind interest on November 27, 2015. China Investment Corporation is a sovereign wealth fund of the People's Republic of China. Pursuant to the Debenture, since March 29, 2010, LB has acquired ownership of 40,123,980 common shares of SouthGobi, which includes 25,232,419 common shares previously issued and reported upon and 14,891,561 common shares issued on January 11, 2017, in each case, in satisfaction of the paid in kind component of the interest accrued on the Debenture. 7. The designation and number or principal amount of securities and the acquiror's securityholding percentage in the class of securities, immediately before and after the transaction or other occurrence that triggered the requirement to file this report. Immediately prior to the issuances noted in item 2.2 above, LB held 49,875,030 Shares representing approximately 19.35% of the Issued Shares. After giving effect to the issuances noted in item 2.2 above, LB owns and controls 64,766,591 common shares of SouthGobi, representing approximately 23.76% of the issued and outstanding common shares of SouthGobi as of January 11, 2017. LB also continues to own US$250 million of principal amount under the Debenture which, if converted at the current conversion price of Cdn$8.88 (and the currency exchange rate of 0.7397) would represent approximately 38.1 million additional common shares. If the Debenture in the principal amount of US$250 million that remains outstanding after the issuances noted in item 2 above is fully converted into SouthGobi common shares at the current conversion price of Cdn$8.88 and the currency exchange rate of 0.7397 then, together with the actual common shares owned or controlled by LB as of the date hereof, LB would own or control a total of approximately 102.9 million common shares or approximately 37.75% of the common shares of SouthGobi. 8. The value, in Canadian dollars, of any consideration paid or received per security and in total. The amount of interest in respect of the 14,891,561 common shares issued on January 11, 2017 was US$ 4 million, and the price of the common shares was Cdn$ 0.36 per share. Announcement made after Wednesday close. The Board is pleased to announce that on 18 January 2017 (after trading hours), the Company and Minghua Group entered into the Exclusive Services Agreement under which the Company has been granted by Minghua Group the exclusive right to the provision of the Logistics Services. The Company has agreed to pay to Minghua Group the Exclusive Right Fee in the amount of RMB100 million, which shall be satisfied by the Company through the issue of approximately 93,016,667 Consideration Shares at an issue price of HK$1.2 per Share to Minghua Group within 20 Business Days after the date of the Exclusive Services Agreement. The Consideration Shares will represent (i) approximately 3.08% of the total number of issued shares of the Company as at the date of this announcement; and (ii) approximately 2.99% of the total number of issued shares of the Company as enlarged by the allotment and issue of the Consideration Shares. As the applicable percentage ratio in respect of the transaction contemplated under the Exclusive Services Agreement is less than 5% and the Exclusive Right Fee will be satisfied by the Company allotting and issuing the Consideration Shares under General Mandate, the Exclusive Services Agreement constitutes a share transaction of the Company under Chapter 14 of the Listing Rules. TORONTO, ON--(Marketwired - January 18, 2017) - Centerra Gold Inc. (TSX: CG) will host a conference call and webcast of its 2016 fourth quarter and year-end financial and operating results at 11:00 a.m. (Eastern Time) on Friday, February 24, 2017. The results are scheduled to be released after the market closes on Thursday, February 23, 2017. January 18 (MSE) Mongolian Stock Exchange established on 18 January 1991 by the Resolution No. : 22 of Mongolian Government in goal of developing securities market and starting privatization process. It has been 26 years since the MSE's establishment. During this period, Mongolian Stock Exchange has been contributing development of national economy by creating the classical securities market with the purpose of mediating the accumulation of assets in the financial market by providing lowest possible cost with the long term. 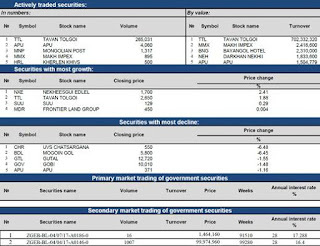 Mongolian Securities Market has adapted a favorable legal and efficient market infrastructure which level up with international standard and total amount of MNT2.1 trillion financial service were provided. We would like to express our greetings and best wishes to all our investors, professional organizations and securities issuers on occasion of 26thanniversary of the establishment of Mongolian Stock Exchange and Mongolian securities market. 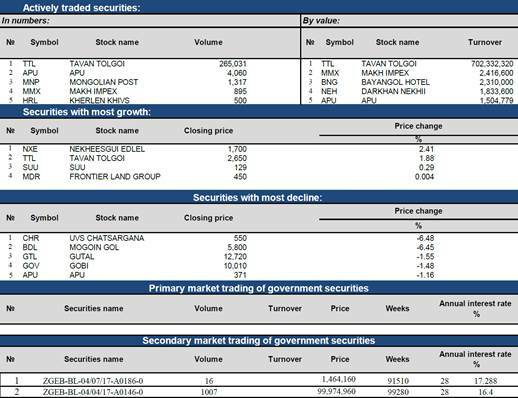 May the Mongolian securities market become a gateway to development! The population of the Mongolia preliminary estimated 3120.9 thous.persons at the end of 2016, a growth of 63.2 thous.persons (2.1%) from the previous year. In 2016, there were 79382 live births at national level, of which 78194 live births (98.5%) were born in Mongolia and 1188 live births (1.5%) were born in overseas. At the end of 2016, birth rate of 25.4 per 1000 population and death rate of 5.2 per 1000 population. This equates to a natural increase rate of 20.2 per 1000 population. Compared to the previous year, there were decreases in birth rate by 1.9 percentage points, in death rate by 0.3 percentage points and in natural increase by 1.6 percentage points. According to the Government Implementing Agency General Office of Labor and Welfare Service, there were 46.8 thous.persons seeking to work, of which 34.4 thous.persons (73.5%) are registered unemployed and 12.4 thous.persons (26.5%) are looking for a job. The number of registered unemployed persons is 34.4 thous.persons which increased by 1.6 thous. persons (5.0%) from the same period of the previous year and by 1.0 thous.persons (3.0%) from the last month. There were 17.8 thous.persons (51.7%) thousand unemployed women. The Government Implementing Agency General Authority for Health and Social Insurance of Mongolia reported that total revenue of Social Insurance Fund reached 1875.7 bln.tog in 2016. It was 375.4 bln.tog (25.0%) higher than last year. Total expenditure of Social Insurance Fund was 1786.2 bln. tog, an increase of 225.8 bln.tog (14.5%) compared with the previous year. The Government Implementing Agency General office of Labor and Welfare Service reported that in 2016, total of 154.8 bln.tog was allocated from the Social Welfare Fund to 277 thous.persons for pensions and welfare benefits. The number of pensioners and welfare receivers increased by 77.3 thous.persons (38.7%) and the amount of pensions and allowances rose by 990.2 mln.tog (0.6%) compared with the previous year. In 2016, 197.9 bln.tog as granted from the Human Development Fund to 1021.1 thousand children aged 18 and below in cash within the scope of the children program. (including 12.8 bln.tog were granted to 617.4 thousand children who are 60.4 percent of the total number of children in December 2016. There were 552.0 thousand pupils of 778 general educational schools, increases of 10 general educational schools (1.3%) and of 16.9 thousand pupils (3.2%) compared with the preceding year. There were 40.1 thousand students of technical and vocational schools, a decrease of 2.6 thousand students (6.1%) from the previous year. There were 157.1 thousand students of colleges and universities, a decrease of by 5.5 thousand students (3.4%). Of which, 133.2 thousand Students (84.8%) were studied with bachelor degree. In 2016, there 77803 women gave birth to 78194 live births across the country, number of maternity decreased by 2631 (3.3%) and live births by 2681 (3.3%) compared with the previous year. In December of 2016, there were 5960 maternities and 5994 live births, decreases of 302 maternities (4.8%) and 331 live births (4.9%) from the previous month. There were 1315 infants and 1628 under-five mortalities recorded in 2016. Compared with 2015, infant and under-five mortality increased by 81 (6.6%) and by 152 (10.3%) respectively. The main causes of the infant mortality were diseases of the respiratory system and measles. In December 2016, 93 and 120 cases of infant and under-five mortalities were registered. Compared with the previous month, infant mortality has increased by 13 cases (16.3%) and under-five mortality rose by 18 cases (17.6%). According to the report of the Institute of Meteorology and Hydrology, a maximum precipitation was registered at 11.4 mm in Tosontsengel soum of Zavkhan aimag. Dalanzadgad soum of Omnogovi aimag had a maximum air temperature at 8.0°C, while Otgon soum of Zavkhan aimag had a minimum air temperature at minus 43.0°C in December 2016. A maximum wind speed reached temporarily between 22 m/sec and 24 m/sec in Bulgan soum of Omnogovi aimag, Tonkhil soum and Bugat soum of Govi-Altai aimag. In December 2016, as measured by over 15 air quality monitoring stations, the average daily concentration of nitrogen dioxide NO2 exceeded the acceptable level by 31 times in Zuragt, by 30 times in West crossroad, by 29 times in Tolgoit and Zuun-Ail, by 27 times in Kharkhorin market and 13th micro district, by 22 times in Urgakh naran micro district, by 16 times in Amgalan, by 6 times in Dambadarjaa, by 5 times in 1st micro district, by 4 times in nearby the Institute of Physics and Technique and by twice in Khailaast. The average daily concentration of sulphur dioxide SO2 exceeded the acceptable level by 31 times in Zuragt and Tolgoit, by 30 times in Zuun-Ail, by 27 times in Amgalan, by 25 times in Bayankhoshuu, by 20 times in West crossroad, by 19 times in 13rd micro district, by 12 times in Urgakh naran micro-district, 9 times in Dambadarjaa and nearby the Institute of Physics and Technique, 8 times in 1st district, by 5 times in Kharkhorin market and by 4 times in Khailaast. Dust content with less than 10 micron in the atmosphere of Ulaanbaatar exceeded the acceptable level by 31 times in Zuragt and Tolgoit, by 30 times in Zuun-Ail, by 29 times in Kharkhorin market, by 26 times 13th micro district and Amgalan, by 25 times in West cross road and Bayankhoshuu, by 22 times in Nisekh, by 17 times in 1st micro district, by 14 times Misheel expo and Urgakh naran district. Dust content with less than 2.5 micron in the atmosphere of Ulaanbaatar exceeded the maximum acceptable level by 31 times in Zuragt and Tolgoit, by 30 times in west cross road and 13th micro district, by 28 times in Amgalan, by 25 times in Bayankhoshuu, by 22 times in Nisekh, and also the average daily concentration of carbon monoxide CO exceeded the acceptable level by 4 times in Zuragt and by once in Tolgoit respectively. In 2016, 4381 disasters and accidents occurred, a decrease of 1041 disasters and accidents (19.2%) compared to the 2015. There were 3710 construction fires, a drop of 851 construction fires (18.7%) from the last year. In addition there were 81 animal madness diseases and 126 sheep small pox. As a result of disasters and accidents, 230 people died and 1059.4 thous.heads livestock and animals were lost. Estimated damage caused by the construction fires amounted to 43.1 bln.tog and totally 1.4 bln.tog expended for disasters and accidents. There were 27167 crimes recorded in 2016, a decrease of 590 offences (2.1%) compared with previous year at national level. This decrease was driven by falls in economic crimes by 293 (56.3%), in crimes against the rules of safety of traffic and use of motor vehicle by 227 (11.3%), in crimes against public security by 151 (9.3%) and in crimes against environmental protection rules by 63 (27.6%). In December 2016, 2072 crimes were registered. This is decreases by 518 crimes (20.0%) from the same period of the previous year and by 413 crimes (16.6%) from the previous month. As a result of crimes occurred in 2016, a total amount of damages was 162.9 bln.tog an increase of 18.6 bln.tog (12.9%) and amount of restituted payment damages was 44.0 bln.tog a decrease of 5.0 bln.tog (10.3%). As a result of crimes occurred in 2016, 11257 persons were injured and 880 died. The number of injured persons decreased by 30 persons (0.3%) while the number of deaths increased by 33 deaths (3.9%) compared with the last year. There were 805 thefts of livestock recorded which accounts for 3.0 percent of total reported offences. It is a decrease of 375 thefts of livestock (31.8%) from the same period of the previous year. In December 2016, total thefts of livestock were 57, a decrease of 20 thefts of livestock (26.0%) from the previous month. 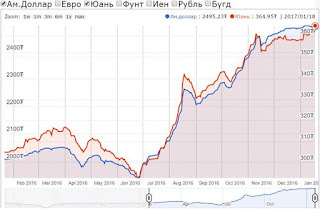 According to a report of the Bank of Mongolia, money supply (broad money or M2) reached 12.0 trill.tog at the end of December in 2016, which increased by 361.9 bln.tog (3.1%) from the previous month and by 1927.0 bln.tog (19.2 %) compared with the same period in 2015. At the end of December 2016, the currency issued in circulation reached 823.6 bln.tog which increased by 54.9 bln.tog (7.1%) from the previous month and by 117.0 bln.tog (16.6%) compared with the same period in 2015. Loans outstanding amounted to 12.4 trill.tog at the end of December 2016, which decreased by 295.9 bln.tog (2.3%) from the previous month and increased by 716.1 bln.tog (6.1%) compared to the same period in 2015. Principals in arrears reached 912.8 bln.tog at the end of December 2016, which decreased by 49.0 bln.tog (5.1%) from the previous month and increased by 58.8 bln.tog (6.9%) compared to the same period in 2015. At the end of December 2016, the non-performing loans over the banking system reached 1082.8 bln.tog, which decreased by 84.2 bln.tog (7.2%) from the previous month and increased by 213.0 bln.tog (24.5%) compared to the same period in 2015. In 2016, 97.1 mln.pcs were securities traded are valued at 462.9 bln.tog in the stock market. The securities trading was decreased by 435.6 bln.tog (48.5%) and shares increased by 55.4 mln.pcs (2.3 times) compared to the same period in 2015. In December of 2016, 38.3 mln.pcs were securities traded are valued at 150.2 bln.tog in the stock market, which increased by 104.0 bln.tog (3.3 times) of 35.1 mln.pcs (11.8 times) compared with the previous month. In 2016, total equilibrated revenue and grants of the General Government Budget preliminary amounted 5852.1 bln.tog and total expenditure and net lending amounted to 9519.9 bln. tog, representing a deficit of 3667.8 bln.tog in the equilibrated balance. Total expenditure and net lending of the General Government Budget reached 1783.2 bln. tog in December 2016, which indicates an increase by 861.2 bln.tog (93.4%) from the previous month. Tax revenue reached 4996.8 bln.tog which showed a decrease of 122.1 bln.tog (2.4%) from the previous year. This fall was mainly due to drops in other taxes and fees by 283.1 bln.tog (32.6%) and in income tax by 149.8 bln.tog (12.8%) even there were increases in social contributions by 157.8 bln.tog (15.5%), in value added tax by 93.5 bln.tog (8.9%), and in excise taxes 34.6 bln.tog (5.8%). In 2016, Mongolia traded with 157 countries from all over the world and total external trade turnover reached 8275.3 mln.US dollars, of which 4917.3 mln.US dollars were made up by exports and 3357.9 US dollars by imports. Total external trade turnover decreased 191.5 mln.US dollars (2.3%), of which imports decreased by 439.6 mln.US dollars (11.6%) and exports increased by 248.1 mln. US dollars (5.3%) compared with the previous year. 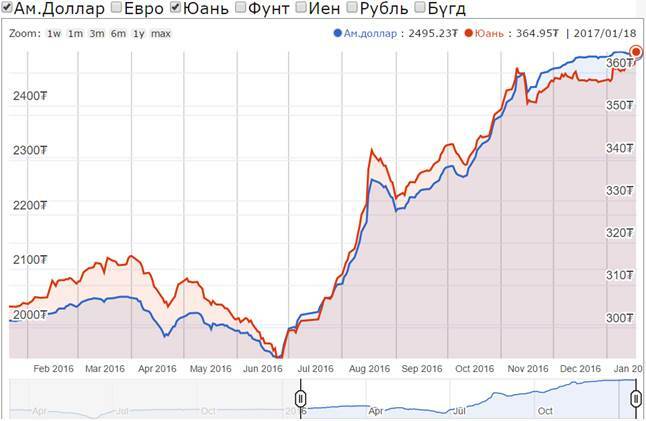 In 2016, surplus of external trade balance reached 1559.4 mln.US dollars it has risen by 687.6 mln.US dollars from 871.8 mln.US dollar in 2015. In December 2016, surplus of external trade balance reached 362.3 mln.US dollar, an increase of 123.0 mln.US dollar (1.5 times) from the previous month. In December 2016, the national consumer price index for across the country increased by 0.7 percent from the previous month and by 1.1 percent from the end of the previous year. This slight increase of 1.1 percent from the end of the previous year was mainly due to increases of 0.3 units (29.4%) in prices for food and non-alcoholic beverages group, of 0.3 units (25.2%) in prices for clothing, footwear and cloth group and of 0.2 units (16.4%) in prices for health group. The national consumer price index for capital city consumers increased by 0.5 percent from the end of the previous year, which was mainly due to increases of 1.4 percent in prices for food and non-alcoholic beverages group and of 7.8 percent in prices for health group. A slight increase of 0.9 percent from the previous month was mainly due to increase of 3.0 percent in prices for food and non-alcoholic beverages group, of which increases of 7.0 percent in prices for potato and vegetables subgroup and of 5.8 percent in prices for meat and meat products subgroup. In 2016, number of livestock reached 61549.2 thousand heads, of which horse was 3635.5 thousand heads, cattle was 4080.9 thousand heads, camel was 401.3 thousand heads, sheep was 27856.6 thousand heads and goat was 25574.9 heads. As a report of harvesting in 2016, 483.5 thous.tons of cereals, 165.3 thous.tons of potatoes, 94.4 thous.tons of vegetable were harvested and 1275.4 thous.tons of gross hay harvest, 45.8 thous.tons of handmade fodder were produced. It reveals that harvest of cereals increased by 267.2 thous.tons (2.2 times) potatoes by 1.6 thous.tons (1.0%), vegetables by 22.1 thous.tons (30.5%), gross hay harvest by 246.7 thous.tons (24%), and handmade fodder by 5.9 thous.tons (14.8%) from the previous year respectively. The industrial production index (seasonally adjusted) was 154.2 (2010=100) in December 2016 which increased by 18.8 percent from the same period of the previous year, by 1.9 percent the previous month. In the mining and quarrying sectors the mining of products such as copper concentrate, zincum concentrate, iron ore, concentrate, gold, coal increased by 8.3-46.7 percent and in the manufacturing sector the production of products, such as copper, pure water, beer, cement, milk, soft drinks, alcoholic beverage, kind of sausage, printing plastic cards, railway sleeper increased by 0.1-75.8 percent compared to the same period of the previous year. But in the mining and quarrying sectors the mining of products such as molybdenum with concentrate, crude oil, fluor spar, concentrate, broken or crashed stone decreased by 0.6-28.1 percent and in the manufacturing sector production of major commodities such as spirit, bakery products, steel casting, lime, sawn wood, building door and windows, articles of iron concrete, vacuum windows and doors, metal steel, metal foundries decreased by 0.2-66.5 percent compared to the same period of the previous year. In 2016, the total carried freight by all type of transport reached 40.3 million tonnes, a rose of 4.5 million tonnes (12.6%), the number of passengers reached 264.0 million passengers (double counting), reflecting an increase of 4.0 million passengers (1.5%) compared with the same period of the previous year. January 18 (news.mn) Mongolia is to reconstruct some old parts of building of the Government Palace due to the risk of earthquakes. As reported by working group of inspectors, a total of MNT 42.4 billion in investment is needed for rebuilding of some parts of the structure. Rebuilding process will begin from 2018. The 'Saaral Ordon' or 'Grey Palace', as it is known locally, was built in 1947-1951 and is home to the State Great Khural (parliament) and the Presidential Administration. A minor earthquake hit the Mongolian capital in 2015, which triggered discussion on what damage a larger quake could cause. Ulaanbaatar, January 18 (MONTSAME) Arkhangai aimag, one of central provinces of Mongolia has a population of 93.5 thousand by the end of 2016. With number of population, Khovsgol ranks first among provinces, following Uvurkhangai and Arkhangai. However, density in Arkhangai is 1.7 persons per square kilometer, which is 15 per cent lower than national average. 21.500 citizens of the province live in the aimag center, 17.900 in soum centers and remaining 20 per cent sparsely reside in countryside. Population density is the highest in Ulaanbaatar, Erdenet and Darkhan cities, while Bayan-Ulgii, Selenge, Gobisumber, Uvurkhangai and Arkhangai are considered sparsely populated. Ulaanbaatar, January 18 (MONTSAME) A project to build logistics center in Zamiin-Uud soum of Dornogobi aimag, where the predominant border point for container transport by railway locates, is underway. The logistics center aimed at developing the region is significant to increase exports, imports and transit transportation and influence positively to the economy. The Government of Mongolia established an agreement with the Asian Development Bank on financing the project and 60 per cent of the estimated cost or USD45 million is covered by the bank's grant aid and soft loans. The logistics center is planned to cover 128 ha of land, consisting of zones for terminal, customs and other facilities, and for truck waiting area. The Project design includes a road connection with an overpass (bridge) above the UB Railways mainline, providing easy direct connection between the border post and the logistics center. The proposed intermodal or multimodal logistics facility will enhance trade between the two countries and will reduce times for cargo transfers and reduce costs for shipping goods. Currently, the construction and installation works of 3.6 km of drinking water line, the overpass (bridge), 1.6 km paved road, 4.15 km of exterior fiber-cable line, power plant substation and 110 KW electricity line have been executed by 9 national contract companies. The construction works are scheduled to be completed in 2018-2019. Ulaanbaatar, January 18 (MONTSAME) An official opening ceremony of Mongolia's largest solar power plant will be held on January 20. The solar power plant located in Khongor soum of Darkhan-Uul aimag was built by Mongolian Solar Power International LLC and Japan's Sharp Corporation and Shigemitsu Shoji Co.,Ltd. It has a 10 MWt capacity to generate 15.2 million KWT/h energy annually, supplying them to the central energy system and preventing from 14.746 tons of greenhouse gas emission. The plant is equipped with 32 274 high-performance solar panels from Sharp Corporation of Japan. It was introduced with the latest technology and know-hows and was supplied by low and high voltage electrical facilities and other equipment from CMA Group of Germany and ABB Company of Sweden. It's electrical wires meet requirements to work effectively and reliably during extreme weather conditions that reach -30 to -40 C.
This first mega solar power plant has been operating since December 2016 to generate energy to the central energy system of Mongolia. Ulaanbaatar, January 18 (MONTSAME) The Mongolian biggest cashmere brand Gobi opened its new factory store branch at the Department Store of Erenhot city, China last Friday. All 100-percent cashmere products such as coats, dresses and sweaters will be sold at the store. Other branch stores of the "Gobi" brand were opened in Berlin, Germany in November and at the "Haneda" airport of Japan in December 2016. The Gobi Corporation has exported 40 percent of its total coat products to foreign countries in 2016 and now they are aiming to bring the number up to 80 percent. The company is also planning to launch new retail stores in Belgium, Great Britain, Switzerland and another three countries in 2017 with a view to increase their sales on foreign markets. January 18 (UB Post) Member of Parliament M.Oyunchimeg received the Asia Foundation's Country Representative in Mongolia, Meloney Lindberg, to discuss the promotion of the businesses of female entrepreneurs. MP Oyunchimeg noted that whenever she meets with her electorate, women entrepreneurs always ask her to help them find ways to connect to business networks to sell their products. She said that they have faced challenges in reaching customers. MP Oyunchimeg asked Lindberg to help women participate in the Women's Business Center (WBC) project being funded by Korea International Cooperation Agency (KOICA) and implemented by the Asia Foundation. Meloney Lindberg stated that 829 women have taken part in the WBC since it was launched in 2016, and that the project will be implemented until 2018. She noted that the project's resources are available to women entrepreneurs who are interested in taking part in the business incubator. The center helps women entrepreneurs learn how to write a business plan, offers business advice, helps its members improve their marketing skills, and teaches women how to access financial resources. January 16 (Mongolian Mining Journal) In recent years, Kazakhstan has become one of the world's leading countries in exploiting its radioactive mineral resources such as uranium, beryllium, tantalum, niobium, lithium, and rare metals and rare earth elements, reaching a high level of excellence in their exploration and extraction, and in using modern production technology. State-owned Kazatomprom is the world's largest producer of uranium, the most important of these minerals. The country's 14 deposits hold the world's second largest reserves of natural uranium, and its 22 uranium mines employ 26,000 workers. Kazakhstan's trade partners include the US, China, India, South Korea, Japan, the European Union and Russia. Several of Kazakhstan's uranium deposits were identified and the basis of their future intensive extraction laid when the country was part of the Soviet Union. At present there are 129 recorded deposits, most of them roll front, as in Mongolia. Most of the 22 active mines are owned by Kazatomprom, which does everything from exploring to extracting to exporting. Most of these mines are in the Syr Darya river's basin in Kyzylorda State, the two major ones being Harasan–1 and Harasan– 2. With its annual output of 2,000 tons, the expected life of the latter is 40 years. Its uranium grade is 0.021%-1.016%. Location map of uranium deposits in Kyzylorda State. I recently spoke with Mukhtarkhanovich Baurzhan Ibraev, Chief Director of Production at Kazatomprom to learn more about Kazakhstan's uranium industry. He had once worked in Mongolia. I also made a study tour of Harasan-2, Baiken-U in Kyzylorda. Ibraev and I spent a very busy and interesting two days together on a road trip. Among the topics we discussed was possible cooperation between Mongolia and Kazakhstan in the uranium sector. As a senior mining professional and the first President of democratic Mongolia, I felt sad to see how far Kazakhstan had gone ahead of Mongolia, even though the state of the uranium sector in our two countries was more or less the same in the early 1990s. We are yet to leave the starting block, as Kazakhstan races on. After 20 years of "Stop Mardai", "Close this", "Drive out Khan Resources", "Delay Areva".... we should realise enough is enough. The number of nuclear plants is set to increase and the demand for nuclear fuel will rise radically. If we wish to benefit from this, we have to take two quick decisions. First, we should build a pilot plant based on Areva's uranium deposit. Second, we should seek the cooperation of Kazakhstan in developing our radioactive minerals resources. From what I saw, Kazakhstan has the professional resources, equipment and technology. Investments also can be attracted from there and from those already working there. We can begin with producing the "yellow powder" that is not hazardous for people, livestock and environment. (Your Amazing Places) Mongolia is a country located in Central Asia and borders with Russia and China. Mongolia is a sparsely populated country. The capital city is Ulaanbaatar with 1.5 million inhabitants. Ulaanbaatar is located at 1350 meters above sea level, in the center of Mongolia on the River Tull. Ulaanbaatar was a mobile town that moved several times to different location. The city as a permanent location becomes in the 18th century and was originally a nomadic Buddhist center. Over the next century, over half the population of the Ulaanbaatar city consisted of Buddhist monks, who among other things founded many monasteries. Some of them now are the target of tourists. Square monasteries are a combination of the Mongolian and Chinese style construction. So, the most popular are monasteries Choijin Lama Temple. Their importance is not only a religious and cultural, but also belong to the rare Buddhist objects that survived the socialist overturn and the Russian intervention in the 20th century. Due to the high altitude and because of the distance from the sea, the city of Ulaanbaatar applies to the coldest capital in the world. Throughout the year there are short a very cold winters and long hot summers. Average temperature is -1,3 ° C, while in January the temperature reaches to -16° C.
Ulaanbaatar has several museums dedicated to Mongolian culture and history. Natural History Museum has many fossil remains and meteorites found in Mongolia. National Museum of Mongolian History includes samples from prehistoric times. If you want to try something new, to see something extraordinary and if you want to feel the coldest capital of the world, we recommended visiting Ulaanbaatar city. It is the "eye" of Mongolia, city with its own charm and magic. Ulaanbaatar, January 18 (MONTSAME) Today, Prime Minister J.Erdenebat received U.S. Ambassador Jennifer Zimdahl Galt and some US business representatives from Polaris Asset Corporation, General Electric and J.P. Morgan. The Ambassador expressed her readiness to help the Government of Mongolia in all aspects during the period of economic difficulties. Ambassador Jennifer Zimdahl Galt wished success in ongoing talks between the Government of Mongolia and the International Monetary Fund and stated that the embassy would cooperate to successfully implement the second compact of US Millennium Challenge Corporation in Mongolia. General Electric is working together with 'Erdenes Mongol' company to implement a liquefied coal project (producing petroleum and other byproducts through liquefying coal), financed by J.P.Morgan. The project will bring positive impacts to the citizens and the economy, ensuring energy independence of Mongolia, reducing air pollution of Ulaanbaatar, lowering dependence on imported oil and reducing outflow of money, underlined the project team member. After the project completion, the coal liquefaction plant will be transferred to the ownership of Mongolia. PM J.Erdenebat said the government would support this kind of project that the project implementer had found financial source or the investor. PM also underlined the project should be realized without delay. "Although Mongolia now faces economic difficulties, it is a country with very high promising future and our economic growth will achieve high. 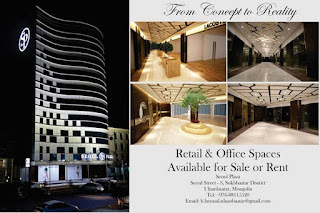 Therefore, considering the market, the main raw material reserves and future of Mongolia, you can be confident that you are implementing prudent and non-risky project. January 18 (gogo.mn) 10th annual Japanese film days are now held in Tengis cinema until Jan 20th. Embassy of Japan in cooperation with Japan Fund are organising the event. Synopsis: Takao, who is training to become a shoemaker, skipped school and is sketching shoes in a Japanese-style garden. He meets a mysterious woman, Yukino, who is older than him. Then, without arranging the times, the two start to see each other again and again, but only on rainy days. Synopsis: Eikichi, having trained at an established tofu maker in Kyo, comes to a traditional town of Fukagawa Hamaguri-cho in Edo to open his own shop, where he meets Ofumi, a true-born Fukagawa girl full of life. With the help of Ofumi's father, Eikichi finds accommodation at the same tenement as Ofumi. Eikichi finally opens "Kyo-ya", his long-planned Tofu shop of his own. Eikichi and Ofumi get married before long and build a home together. The business thrives, but their eldest son, who becomes tired of Tofu making, gets involved with gambling. The shop is taken over by another tofu maker as payment for debts, and the family is on the brink of disintegration. To make matters worse, Eikichi suddenly dies in an accident. Remembering that Tofu making was Eikichi's life, Ofumi and the children decide to protect Kyo-ya. January 16 (VietMaz.com) The Vietnamese embassy in Mongolia has co-ordinated with the Vietnamese Association there and held a get-together for more than 160 overseas Vietnamese in the country. Addressing the meeting, Vietnamese ambassador to Mongolia Hoang Tuan Thinh reviewed Vietnam's socio-economic achievements, the country's important events in 2010 and the success of the 11th National Party Congress. Mr Tuan also highlighted the fine relationship between Vietnam and Mongolia through the exchange of high-level delegations as well as contributions by Vietnamese community in Mongolia for raising funds for flood victims in Vietnam. Mr Thinh wished the embassy staff, overseas Vietnamese and students a successful year and hoped the association will serve as a bridge of friendship between the peoples of both nations. President of the Vietnamese Association in Mongolia, Nguyen Huy Tuan, also expressed hope that the embassy staff and overseas Vietnamese will continue to promote last year's achievements and that the Vietnamese community in Mongolia will continue to work hard and respect their resident country's customs and traditions. HMA Catherine Arnold talks about what to expect in 2017. 2016 has been a significant year. Here in Mongolia you hosted a very successful ASEM conference. I would like to congratulate Mongolia on its global success. You also held parliamentary elections and invited the OSCE to monitor them, for the first time. Democracy is something that our two countries share. Our governments and our people share the importance of democracy and the wider values it brings, such as freedom to express ourselves and increasing transparency. In the UK we held a referendum on the UK's membership of the European Union. The UK is and will remain an outward looking and engaged global player and here in Mongolia I look forward to building our strong relationship even further. 2016 has been a busy year for UK and Mongolia partnership. We have worked together to strengthen democracy and transparency. We have worked together to strengthen global peace and security through peacekeeping and human rights. We have worked together to help counter the illegal trade in wildlife. I would like to thank all our many partners for making this possible. The UK continues to work with Mongolia to support the sustainable development of your economy – through education, innovation and technology. I recently went to the UK with a mining delegation led by the Vice Minister of Mining to promote investment into Mongolia. And I want to continue to work with you to show the world what Mongolia has to offer. Open is the word I use most about Mongolia. You are an open people with an open democracy. 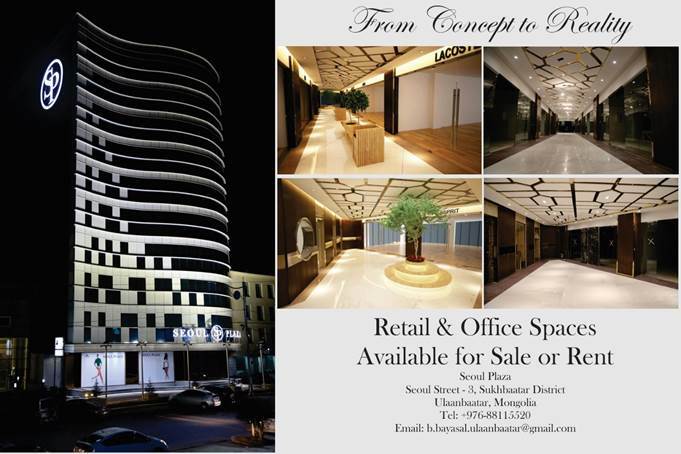 You are open to business and open to tourism. You have continued to show this openness and warmth to me and my embassy this year, here in UB and as we have travelled around this extraordinary country. You have taught me to play Polo in UB, sing Mongolian folksongs in Gobi Altai, and to make aruul in Khuvsgul. May 2017 and the years that follow bring you and your country blessings and opportunities. January 18 (UB Post) Rates of tuberculosis in Mongolian school-aged children are up to five times higher than previous estimations by the World Health Organization (WHO), according to new findings from Mongolia's first clinical study of tuberculosis in children. Preliminary results show there are 1,479 active cases of tuberculosis (TB) in 100,000 school-aged children, putting it in line with South Africa, where the TB epidemic is the country's number one cause of death. The study, by the Mongolian Health Initiative in conjunction with the Harvard T.H. Chan School of Public Health in the United States, also found that 10 percent of school-aged children had latent (inactive) TB. Mongolian Health Initiative (MHI) research fellow Dr. T.Mendsaikhan, who was on the study team, said the early results were alarming. "The results of our study show it's very high- much higher than the predictions by the World Health Organization, which predicted 500 to 1,000 cases in 100,000," Dr. T.Mendsaikhan said. "The cases of latent TB were at 10 percent, and previous figures showed it was only two percent, so there's been a huge increase in latent TB in children. "This shows that we have to take more action on TB." The study's other results revealed that passive smoking increased the TB rate in children by a worrying 22 percent. And the risk of contracting the disease is four times higher when there is a TB-infected person living in the household. A 2015 study revealed that Mongolia is the fourth highest tuberculosis-burden country in the Western Pacific Region. It is the sixth leading cause of death amongst the population and the first leading cause of death from communicable diseases. TB is an infectious disease caused by the Mycobacterium tuberculosis which is spread by airborne transmission from person to person. It spreads when someone with the untreated, active form of tuberculosis coughs, speaks, sneezes or spits. In latent TB, which is usually acquired in childhood, people still have the TB infection, but the bacteria remains in the body in an inactive state and causes no symptoms. While it is not contagious, latent TB can turn into active TB, so treatment is important. Despite wide access to TB drugs, people still die from TB. In Mongolia, even though babies are vaccinated within 24 hours of being born, the disease is being spread in later life due to more cases of drug-resistant TB, symptoms being ignored and incorrect diagnosis of the disease. The next stage of the trial by MHI is determining if vitamin D can reduce the prevalence of latent TB in school-aged children. More than 8,000 students aged six to 13 years from 15 schools in six districts of Ulaanbaatar are taking part in the trial, which will conclude by 2019. The students take a vitamin D gel tablet once a week. International studies have shown that vitamin D pills are proving effective when the body cannot produce enough of the vitamin from radiation by the sun. The low-cost pill has been used in countries to prevent tuberculosis with some promising results. Dr. T.Mendsaikhan, who works as a pediatrician at a private clinic, SOS Medica Mongolia, said many Mongolians suffer from vitamin D deficiency as a result of the dark winter months and not enough sunlight, along with a lack of vitamin D rich food. "Vitamin D tablets are becoming more popular in Mongolia and are readily available at pharmacies. Children should be taking these especially in the winter months," she said. Vitamin D is also found in oily fish, cow liver, eggs, yeast and some dairy products. In 2016, Mongolia began fortifying some brands of milk with vitamin D in an effort to combat deficiencies from inadequate sun exposure and poor vitamin D dietary intake. Dr. T.Mendsaikhan also warned of the dangers of ignoring latent TB. "In Mongolia, people with latent TB don't take medicine but they should be," she said. "The medicine is available but it's not being prescribed. There needs to be a health directive or policy that says people with latent TB must take medicine to suppress the bacteria. At the moment, that's not happening, it's being ignored." In Mongolia, 74 percent of overall TB cases are among poorer people living below the poverty line, according to WHO. Dr. T.Mendsaikhan said one of the most important messages is spreading the word to parents about the risks of TB. "We encourage parents to keep their children's immune system strong and healthy with good sleep and diet,'' she said. "The other message is that tuberculosis can still affect anyone, whether your child is at a school in the ger district or at one of the best private international schools." While Mongolia has one of the largest numbers of TB cases in the world, the impact of the disease on children has not been widely acknowledged. But Dr. T.Mendsaikhan said that attitude is slowly changing. "Tuberculosis in children is becoming a more popular issue right now due to our study and other studies," she said. "A lot of TB cases in children are not being diagnosed and treated properly and that's something that has to change." January 18 (Western Washington University) The Karen W. Morse Institute for Leadership is excited to announce that we will leading a second global studies program to Mongolia in Summer 2017! Issues in Global Leadership will explore the rich, ancient history of Mongolia as well as the newly democratic Mongolia of 27 years. Students will be living in a developing country, learning about Mongolian leadership practices through interviews with leaders from a variety of sectors and visiting organizations aimed at supporting inclusive leadership development. Throughout the course, we will explore the roles and identities of leaders in education, social services, journalism, politics and government, environmental social change, business and entrepreneurship, and the arts. In addition, we will visit several museums, temples, cultural monuments and performances. The program will spend two weeks in the capital city, Ulaanbaatar, and six days travelling the country side (or the "steppe"), spending time in the historical city of Kharkhorum and Hustai National Park. The program is six weeks: the first week on campus, three weeks abroad and two weeks back on campus. The cost is $5,800, all-inclusive (airfare, lodging, meals and cultural excursions). For more information, visit our website, take a look at our video from last summer's trip to Mongolia and join our Mongolia 2017 Facebook page to start conversations, ask questions and receive up-to-date information about trip details, application deadlines and more! January 17 (Voice of Mongolia) Severe winter continues in Mongolia. According to the last Asia and the Pacific Weekly Regional Humanitarian Snapshot, an estimated 157,000 people or 37,000 herder households across 17 out of 21 provinces in Mongolia are affected by severe winter condition Dzud. A drought during the summer of 2016 has depleted herders' reserves of hay and fodder in the eastern part of the country putting at risk livestock which are a vital source of food, transport and income for thousands of people. Multipurpose cash grants to support life-saving basic needs, emergency agricultural inputs and veterinary first aid kits have been identified as priority needs. The Office of the Deputy Prime Minister has established a task force to coordinate the response to the harsh winter conditions. Ulaanbaatar, January 18 (MONTSAME) A group led by U.Khurelsukh, Deputy Prime Minister and Chief of National Emergency Management Commission of Mongolia has worked in Chinggis Khaan, Dadal, Bayan-Adarga and Norovlin soums of Khentii province, the regions faced with harsh winter conditions. Snow depth has reached 30 cm and even 50-60 cm in some soums of Khentii province. The Deputy Prime Minister rendered 210 tons of grass, fodder and other assistances to herders and three ambulances to the authorities of Bayanmunkh, Dadal and Bayan-Adarga soums. According to the report of governors and the Emergency Management Office of Khentii province, winter conditions have worsened not only in three soums, but also in all northern soums of the province. Due to heavy snowfall in late 2016, Bayan-Ovoo, Batnorov, Dadal, Binder, Batshireet, Umnudelger, Tsenkhermandal, Jargaltkhaan and Kherlen soums have been encountered with difficulties and the snow depth has reached 5-30 cm and 40-60 cm in some areas, posing a danger to livestock grazing. Therefore, Deputy PM U.Khurelsukh obliged the governors of soums and province to oversee the spending of assets and money rendered from the Government of Mongolia, pay attention to people's health, support herders in every possible way after conducting surveys on herder families living in areas confronted with wintering troubles. They were also ordered to request an assistance from the National Emergency Management Commission, if the budget runs short to carry out the activities. On January 19, the Deputy Prime Minister will be working in Dornod province. January 18 (Catster) Snow leopards in Mongolia recently received a "land grant" that will help the rare big cats thrive. Last spring, Mongolian government declared the Tost Mountains a nature reserve, one of four categories of state-protected areas. The new park will comprise approximately 5,072 square miles. Located between the Great Gobi and the Gobi Gurvansaikhan National Park, which are already protected areas, the Tost Tosonbumba Nature Reserve is home to 14 to 16 adult snow leopards and their cubs, not to mention the ibex and argali that are the staples of their diet. They can now safely roam what is one of the world's largest continuous protected snow leopard habitats, according to the Snow Leopard Trust, based in Seattle. Mongolia is home to some 1,000 snow leopards, a population second only to that of China. The ability of the cats to move freely throughout the region will help to promote genetic diversity. The new designation means that only traditional economic activities, such as herding, will be permitted in the area. Mining, construction, and hunting will be banned. Before the area was set aside, approximately a dozen licenses for mining exploration had been issued, and two mining sites are active. That means the licenses must either be revoked, with the affected companies being compensated for the loss, or the licensed land must be kept out of the reserve. Bariushaa Munkhtsog, a senior researcher in the mammalian ecology laboratory of the Mongolian Academy of Sciences Institute of Biology, said what will probably happen is that licenses — which are typically issued for a two-year period — simply won't be renewed when they expire. Ulaanbaatar, January 18 (MONTSAME) The 40th Men's, 25th Women's and 5th Team National Judo Championships took place on January 16-17 to conclude with interesting results. On the first day of the championships, the announcement of retirement made by 2012 London Olympic bronze medalist S.Nyam-Ochir was a big news to Mongolian judo fans. "I have been associated with judo for more than 20 years. I am truly grateful to my peers, coaches and family for being there for me all this time. Although I am ending my career as a sportsman today, I am officially transferring to the duty of a coach. I will do my best to train good judokas in Mongolia", he said. The judoka has earned Mongolia numerous medals from international judo competitions , including a bronze medal from the 2015 World Judo Championships, two silver medals from the 2009 and 2013 Asian Judo Championships. Proving his skills once again, 2008 Olympic gold medalist and 2012 Olympic silver medalist N.Tuvshinbayar challenged himself in +100 kg weight category for first time, and took the first place. The Olympic champion usually competes in -100 kg. Judoka O.Uuganbaatar won his fifth gold medal at the national championships in men's -81 kg category. A new national champion was born in men's -60 kg, the most competitive category of the championships. J.Amarbold, judoka of 'Suld' sport committee won a gold medal at the age 20. In women's -57 kg, Rio Olympic silver medalist D.Sumiya claimed the title of national champion after defeating all of her opponents. In women's -48 kg, world champion, Tokyo Grand Slam winner M.Urantsetseg won her second gold medal. National champions D.Sumiya and G.Altanbagana who won a gold medal in men's -90 kg became the best judokas of the national championships. January 18 (gogo.mn) State Philharmonic Theatre will host classical music concert on Jan 26th at 7 PM. The Symphony No. 5 of Ludwig van Beethoven and symphonic suite "Shekherazada" of N. Rimsky-Korsakov to be performed at the concert. Tickets are available now at the ticket office of State Philharmonic Theatre and www.ticket.mn. January 18 (gogo.mn) Tsetserleg soum, Arkhangai aimag to host Winter festival 2017 on Jan 21st, aiming to to develop winter tourism in Mongolia. Governor's office of Arkhangai aimag is organising the event. Location: Tsetserleg, the capital of Arkhangai aimag in Mongolia, which locates 600 km southwest of Ulaanbaatar. January 18 (Great Falls Tribune) One thing Greg Schatz noticed during his trip to Mongolia was just how tough the Mongolian people are. "You really don't understand just how soft Westerners are," Schatz said. Schatz traveled to Mongolia with his wife for a three-week horse packing trip. Now, they're being sponsored by the Island Chapter of the Montana Wilderness Association to tell their stories and share a travel slideshow. "The Mongolians are harder than nails," Schatz said. "They sit on the bare ground to eat their meals, and when it's time to sleep, they lay down where they are and use their elbow as a pillow." "Where we went was one of the last places in the country with little to no Western influence," Schatz said. "The Mongolians wanted to learn about guiding, packing and outfitting so they could run an outfitting business without hiring Westerners." Ten Western packers, including Schatz and his wife, Deborah, joined 10 Mongolian herders to learn each culture's equestrian customs. Schatz describes the Mongolian people as overtly open people who are friendly and willing to listen — even if they don't always understand. "They get up and ride their horses from the morning until they're done around midnight or two in the morning," Schatz said. "They couldn't wrap their heads around the way Westerners start their day at nine, break for lunch and typically like to be off their horses by three in the afternoon. They found it funny. They would never consider stopping so early because they never get sore. They've been riding before they could walk." "All of Mongolia is public land — no one says this is mine, this land is mine," Schatz said. "I remember one day there was a terrible storm. It was windy and the rain was coming down. The Mongolians turned their horses' rears to the wind and got down under their chests. Well, I'm 6'4". I don't fit under a horse — especially a Mongolian horse." "We stayed with strangers," Schatz said. "The herders had never met these people before. Can you imagine inviting strangers into your home and feeding them?" Schatz said he learned about the Mongolian sense of community and how rare it is for a Mongolian to say "mine." When a person leaves their ger for the day, they don't secure their home. Instead, they leave food out on the table should a hungry traveler pass by and need a meal and a place to take a break. January 18 (Gold Coast Bulletin) Intrigued by Belize? Curious about Costa Rica? Dreaming about Vanuatu? Now here's a really good reason to visit in 2017 - they're all on a new hot list of destinations where you can be sure your trip won't be guilt trip. Holidaying in developing countries can often raise a complex set of questions and concerns - like, "Is tourism really helping the local people?" or "Am I damaging the environment by visiting?". Thankfully, the folk at Ethical Traveler have answered these questions and come up with a list of stunning emerging destinations around the world where you can be confident you're doing the right thing by visiting. Each year, the organisation researches the policies and practices of the world's developing nations, using data from groups such as Amnesty International and the UN to find the 10 most ethical destinations. Criteria include forward-thinking policies, tourism infrastructure, natural beauty and welcoming cultures. From tropical islands to quirky cultural gems, these up-and-coming holiday spots are making a big impression for all the right reasons. Take a look at the list - and get booking. It's famous for its yurts, mountains, desert and nomadic culture but Mongolia isn't without its modern conveniences. A new airport and Shangri-La hotel complex - including IMAX cinema and Hard Rock Cafe - are scheduled to open this year, earning the country a gong as one of Lonely Planet's most exciting destinations for 2017. The country's major investment in education and environmental policies helped its standing as one of the world's most ethical destinations. For current Mongolia's visa requirements for 193 nationalities, visit Indy Guide's Visa-Check. Looking for local guides, tours, drivers or accommodations in Mongolia?